astronomers discovered the first definite brown dwarf in 1995. Now, a new analysis of Hubble Space Telescope data implies our galaxy has almost as many of these failed stars as it does normal stars like the Sun. Several brown dwarfs probably lurk unseen within just 12 light-years of the Sun. This volume of space contains more than two dozen main sequence stars like the Sun — but only two known brown dwarfs. Both these brown dwarfs orbit the orange dwarf star Epsilon Indi, which is 11.8 light-years from Earth. They are the closest known brown dwarfs to the Sun. 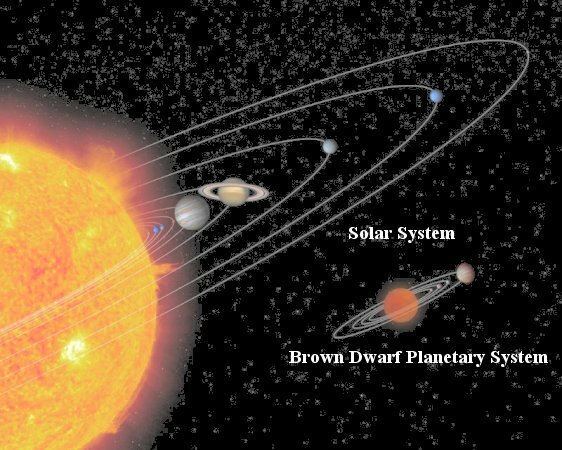 Figure 08-06 shows an artist's conception on the relative size of a hypothetical brown dwarf-planetary system and the solar system.